There still can items be found that I did not know of. As you can see and read with several of the recent posts on this site. This discovery however surprised me a lot. 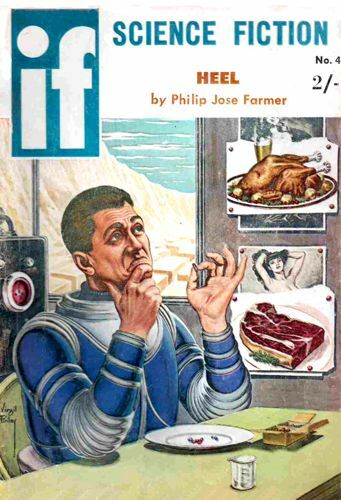 The British version of If of May 1960, with Farmer's story "Heel". While I thought I had covered every publication of his stories in the US and UK. The UK edition is identical to the corresponding US issue except for the cover price and numbering. It was published by Digest Productions (US) and distributed in England by Strato Publications. I recently discovered two earlier German translations of stories by Philip José Farmer. These two were written under pseudonym with their original publication in The Magazine of Fantasy and Science Fiction. The pseudonyms were also used with the German translations. 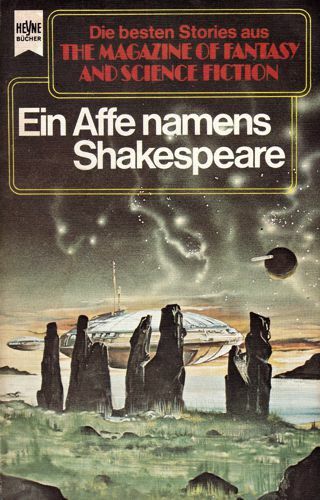 The stories are "The Problem of the Sore Bridge—Among Others" (1975) by Harry Manders, as "Der Fall mit den Juwelen" in the anthology Ein Affe namens Shakespeare (1976). 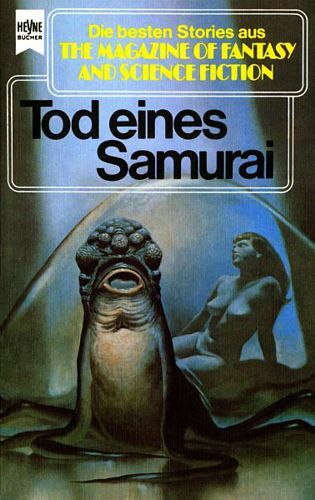 And "The Volcano" (1976) by Paul Chapin, as "Der Vulkan" published in the anthology Tod eines Samurai (1977). Both anthologies are part of a long time running series Die besten Stories aus The Magazine of Fantasy and Science Fiction from publisher Heyne. In about two months will the 13th FarmerCon been held. The con is this time called FarmerCon 100, because of Farmer's 100th Birthday this year. It takes place from Thursday July 26 till Sunday July 29 in Pittsburgh, together with PulpFest 2018. 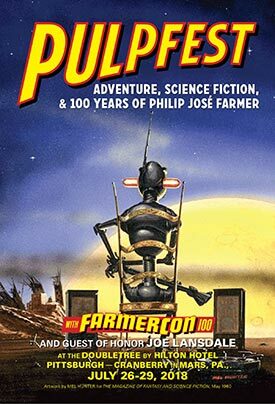 See the website of PulpFest 2018 or of The Official Philip José Farmer Web Page, for all the information. I will not be able to attend the con, alas. I wish everyone who is going a great time in Pittsburgh. There will be some great books released in the weekend.